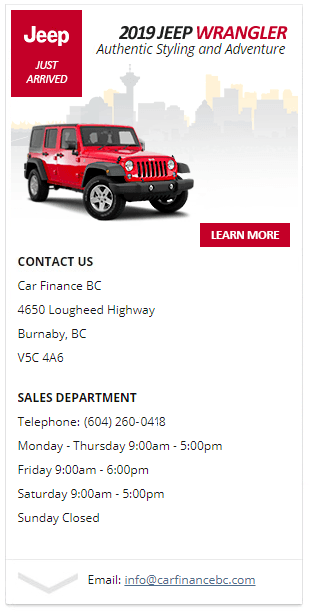 Car Finance BC | What Are Certified Used Vehicles? Car Finance BC in Burnaby – Certified Pre Owned Vehicle Advantage! At Car Finance BC – our customer’s are ensured further ‘peace of mind’ in knowing that our Certified Pre-Owned Vehicles come with a 150+ point inspection. Additionally, many of our vehicles have a Manufacturer’s Warranty, 24-hour Roadside Assistance and an Exchange Privilege. We gladly back our Certified Pre-Owned Vehicles with a manufacturer’s warranty. It guarantees that qualified technicians who use factory-approved parts will service your vehicle. Additionally, our customer’s are afforded further comfort with the knowledge that our Certified Vehicles come with a minimum of 3 months or 5,000 kilometers (whichever comes first) ‘Used Vehicle Limited Warranty’ when purchasing a Certified Pre-Owned Vehicle – that’s standard! Furthermore, we provide service extensions or upgrades to an even more comprehensive Certified Pre-Owned Vehicle Protection Plans too. And should you ever decide to sell your vehicle, you’ll be able to transfer any existing warranties across to its new owner. Manufacturer’s Warranty – All of our Certified Pre-Owned Vehicles feature a minimum of 3 months or 5,000 kilometres (whichever comes first) fully backed by the manufacturer. 150+ Point Inspection – Each Certified Pre-Owned Vehicle must pass a check of a minimum of 150 different points. This ensures the vehicle is in excellent condition – inside and out! No-Hassle Exchange Privilege – You have 30 days or 2,500 kilometers to decide if the Certified Pre-Owned Vehicle you’ve purchased is right for you. If it’s not, simply and easily exchange it for another vehicle. 24-Hour Roadside Assistance – Help is always only a phone call away. All Certified Pre-Owned Vehicles feature 3 months or 5,000 kilometers (whichever comes first) of 24-hour roadside assistance. You might not worry much about the condition of your hose clamps or the vacuum system or the brake pads. You’ll never have to, either – with one of our Certified Pre-Owned Vehicles! Before our vehicles reach the sales floor, each one is meticulously assessed by a licensed mechanic. That means by the time you look at them, every single vehicle has passed our painstaking 150+ point inspection. Lost, stuck or off course? That doesn’t sound like you… and it never will! It’s going to be a great ride, especially knowing you’re covered with 24-hour roadside vehicle assistance. That includes trip interruption coverage and trip routing service to help you quickly get you on your way. To receive Roadside Assistance – one simple call and a service operator will be immediately dispatched to your location!